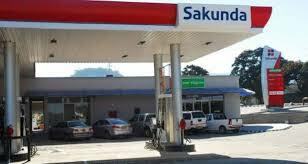 A Mutare man who tried to defraud Sakunda Energy by tendering bogus fuel coupons has been slapped with a $50 fine. Patrick Kutama, 32, of Sakubva, was convicted of fraud on his own plea of guilt. Magistrate Perseverance Makala ordered him to pay the fine to secure his release or serve a 20-day jail sentence. Kutama was charged with fraud as defined in section 136 of the Criminal Law (Codification and Reform) Act chapter 9:23. Prosecuting, Percy Musukuto told the court how on January 11 at 1830 hours, Kutama approached Sakunda Energy Service Station intending to refuel his vehicle with petrol. He tendered two 20-litre coupons which Mary Marume, the fuel attendant, went into the office to verify their validity before fuelling the vehicle. She then realised that the two coupons’ serial numbers 402022423 and 40184131 were already used.